Come on out to the Seward County Fair and enjoy a packed weekend of fun events. Including a Figure 8 race, Baby Olympics, Rib Rally & a concert by The Peterson Farm Brothers & The James Earl Band. Of course there will be a midway there as well for the kids to enjoy along with all the other goodies a county fair brings! Come on out! Many events are scheduled for the York County Fair 2015. Thursday August 6th kicks off with a farmers market, free watermelon feed, antique tractor parade and laser tag. Friday August 7th has long line up from York Dance Center, Aaron Watson with Emmett Bower Band in the grandstand, ice cream social and more. Saturday August 8th there’s a Carshow, Selfie Scavenger Hunt, Kids Tractor pull, Figure 8’s and a beer garden. Sunday August 9th wraps things up with Inspirational services, Antique tractor pull and Kid’s ranch rodeo and Muttin Bustin. And of course there will be the Midway going throughout all days! Be sure to come join us for a weekend packed full of fun! Come on out to Milford Days 2015 in Milford, Ne. Enjoy a variety of events from inflatable games, Potato bake, Fireworks display, fun run, farmers market, tractor & car show, parade, Concerts featuring B Street Band, Jessika Nickel & Dylan Bloom Band and a Family Fun Race. There’s an event for everyone so be sure to come out and enjoy! 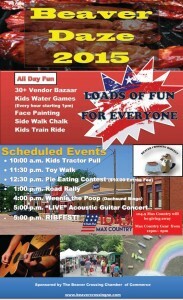 Come on out to Beaver Daze 2015 and enjoy a Kid’s Tractor Pull, A Toy Walk, Pie Eating Contest, Road Rally, Dachsund Bingo, “Live” Acoustic guitar Concert & of Course RIBFEST!!!! Be sure not to miss this exciting event and join us in celebration! Also, 104.9 Max Country will be giving out free gear from 12-2pm! Yorkfest 2015 Red, White & Blue For York Too has several events going on throughout the 3 day event! Thursday kicks off with the Farmer’s Market, Bounce Houses and an Inflatable Obstacle Course. Friday there will be a Prayer Breakfast, Coronation Lunch, Neon @ Nite 5k & 1 Mile Fun Run concluded by the Street Dance featuring Emmett Bower Band. Saturday will be a busy day with the Fireman’s Pancake Feed, Car Show, Grand Parade, COED Sand Volleyball Tournament, Wild Hawgs Poker Run, Homerun Derby and so much more. Be sure not to miss this event! 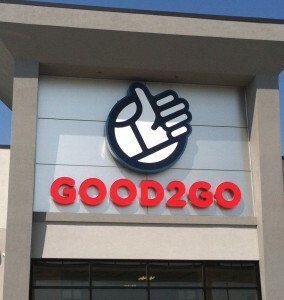 Come out and enjoy this Grand Opening Celebration at the Good 2 Go Travel Center. 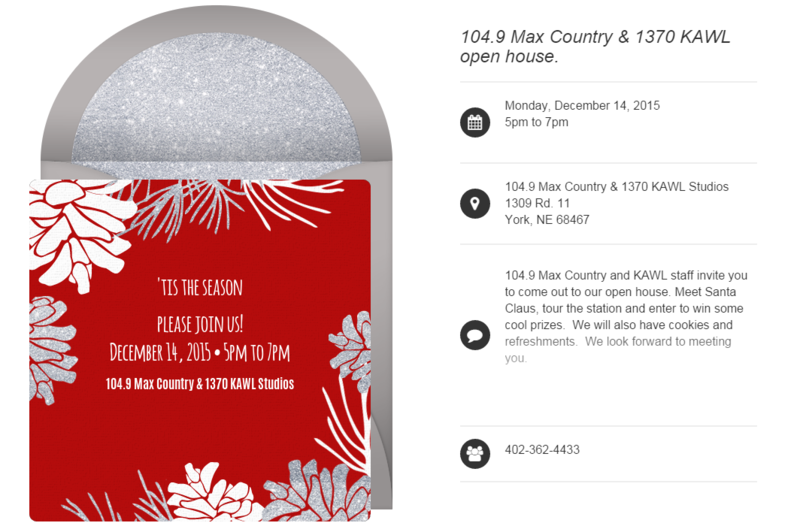 104.9 Max Country and KAWL staff invite you to come out to our open house. Meet Santa Claus, tour the station and enter to win some cool prizes. We will also have cookies and refreshments. We look forward to meeting you. *If parking is not available at the studio please park at Agri-Products on the corner of 21st. Avenue and Grant on just west of the station. We will provide a shuttle service to the station. 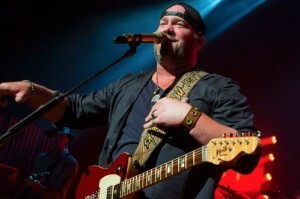 Lee Brice “Life Off My Years Tour” with special guest Tyler Farr. Saturday, February 13th, 2016 7:30 PM at the Viaero Center in Kearney, Ne. Tickets go on sale Friday, December 4th, 2015 at 10:00 AM. Gates open at 8, show begins at Dusk.